Dr Conray Moolman is a high volume robotic surgeon. To qualify as a high volume robotic surgeon, one must perform more than 50 robotic cases per year. Dr Moolman performed 78 robotic cases in 2017. The literature has shown that high volume robotic surgeons have superior results to other robotic surgeons. Dr Moolman has reviewed his first 100 Robotic Prostatectomies and the results are available to all patients considering to have their surgery with him. He presented his results to his peers and colleagues in August 2017. It is a good idea to make sure your robotic surgeon can show you his own personal results and not just the general results shown in the literature. Dr Moolman has showed excellent results in localised and locally advanced prostate cancer patients. This includes oncological outcomes, urine continence and sexual recovery. Bilateral nerve sparing robotic prostatectomy increases return of sexual function significantly compared to open/laparoscopic surgery. Specific results on Dr Moolman’s oncological and functional outcomes are available on request. 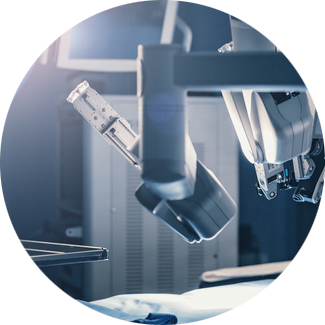 Dr Moolman allows any potential patient to phone any of his patients who has had robotic surgery in the past year, with the agreement that potential patients will phone you one day after your surgery!